Six people have died due to Kyasanur forest disease. Two people including, 18-year-old girl Shwetha and 50-year-old Ramakka died on Saturday. Both were admitted to a private hospital in Shivamogga. In view of the disease outbreak, Bharatiya Janata Party state president BS Yeddyurappa and MLA of Sagara Haratalu Halappa rushed to the in Shivamogga and inquired about other patients’ health. Parents and relatives pleaded to Yeddyurappa for help, who in turn assured of speaking with Karnataka Chief Minister HD Kumaraswamy regarding compensation. According to news reports, health authorities have initiated vaccination drives against KFD and have also advised the public to wear full-sleeved shirts and pants to protect themselves from tick bites. What is Kyasanur Forest Disease or monkey disease? the bite of infected ticks. 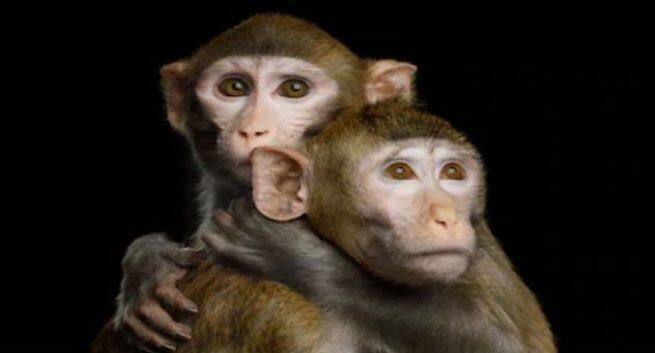 It is also known as “monkey disease/monkey fever” because of its association with monkey deaths. present in some cases. In a few cases, hemorrhagic symptoms may occur in early stage in the form of bleeding from the nose, gums and intestines or fresh blood in the stools. Some patients have persistent cough, with blood-tinged sputum. In severe cases ,neurological symptoms like neck stiffness, mental disturbance, coarse tremors, giddiness, and abnormality of reflexes are noted. Un-treated cases rapidly progress to convulsions, coma and death. Case fatality is 2-10%. Fatality is higher in the elderly and in patients with co-morbid conditions like – liver diseases (alcoholic) etc. It could often be mistaken for dengue, typhoid or malaria. No specific treatment for KFD is available. However, prompt symptomatic and supportive therapy including maintenance of hydration, hemodynamic stability and management of neurological symptoms decreases morbidity and mortality. He further added that he will speak to the Chief Minister about the compensation for those who have died because of this monkey flu. There have been allegations that the district health department has failed to combat the deadly disease.